I present to you two firsts for my site. The first is my first ever review for a statue: the CS Moore Studio Presents Zenescope Entertainment's Snow White Ruby Edition Statute. It's limited edition and hand painted, as well as being sculpted by Clayburn Moore. The second is a big one! If you listened to the review above or simply read the title for this post, you'll see that this is a contest! 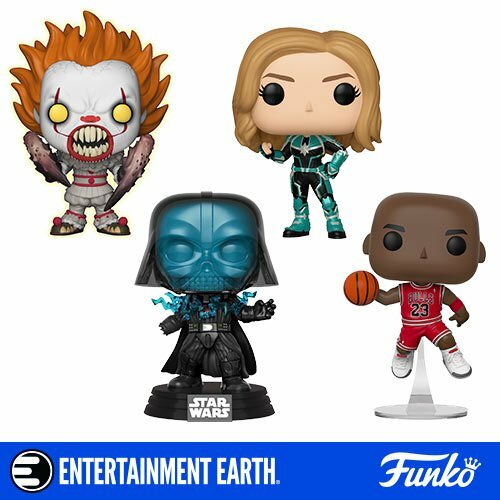 Yup, this is my site's first ever contest, and it comes courtesy of the awesome folk at Entertainment Earth. The rules are simple. Leave a comment below with your email address and tell me who you think is the sexiest fairy tale character and why. The contest will run between today, Mon (Aug. 24, 2015), and ends at midnight Eastern Standard Time on Mon (Aug. 31, 2015). I will email the winner to let them know that they have won this statue. NOTE: Contest open to USA only. Thank you. And, be sure to subscribe to this site and follow me on Twitter and my Facebook Page to know when I run a future contest, as well as to keep up to date on all the posts that I have up. Little Red Riding Hood because she'll put anything in her mouth and then go bed-hopping. The wicked Step Mother from Cinderella. I always liked older women. The contest officially ended yesterday. And, I thank you all for entering. I hope to have more of these. Anyway, the winner is @NoxDMartinez! Congrats, dude!